When you think of cooking a filet mignon, you probably automatically think of sautéing it in a pan with a little bit of butter or bacon drippings. 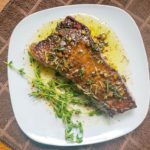 As delicious as that is, if you’re a huge fan of the flavor you get from grilling, your pan-fried filets won’t cut it. Contrary to popular belief, grilled filet mignon can be cooked just as perfectly as a filet cooked on the stove if you know how to do it correctly. 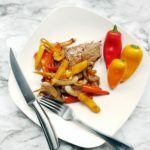 The trick is to know how to grill filet mignon using the right settings and time so that you leave the incredible texture and flavor intact for the melt-in-your-mouth bites filet lovers crave. This article will teach you all about how to cook filet mignon on the grill to impress everyone at your next barbecue. What Grill Works Better for Filet Mignon: Gas or Charcoal? The answer to this really depends on your flavor preference, since either type of grill can do the job. A charcoal grill is best for that smoky, southern BBQ flavor that some people prefer. But, if you’re looking for a flavor that more closely resembles the smokiness of bacon, a gas grill could be your best bet. As a side note, bacon does do wonders for filet mignon to enhance its flavor. So, it’s possible that gas grills have a slight advantage when it comes to filet mignon grilling. However, don’t feel that you need to purchase a new grill just to cook your filets; they’ll do just fine with whatever grill you have. What Grill Temp Should I Use? Filets should be cooked on the grill over medium-high heat. Ideally, you should get the temperature to around 450-degrees on a gas grill, or set your filets on a grill rack directly over medium coals on a charcoal grill. Doing so will give them that incredible sear you’d get from a pan sear, leaving the outside somewhat crisp and the inside soft and tender. Most filets won’t take any more than 15 minutes on the grill, even if they’re super thick cuts, like our Premium Angus Beef Filet Mignon. If your filets are closer to an inch or 1 ½ inches thick, they probably won’t need any more than 4 to 5 minutes of grilling on each side. But, thicker cuts of two inches or more will require a grill time of about 6 minutes on each side. First, you should allow your steaks to come to room temperature for about 30 minutes before grilling them. Then, preheat your grill before grilling a filet mignon. This ensures that your steak gets a good sear before cooking internally and prevents overcooking. Right before you place your steaks on the grill, add your choice seasoning. 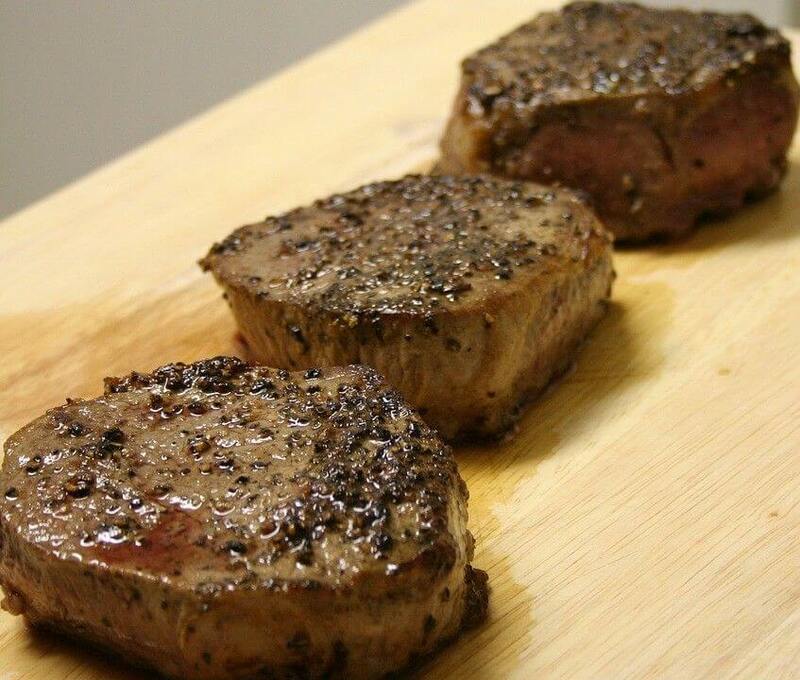 Salt and pepper are good choices, but our Chicago Steak Seasoning can give your filets just the right flavor boost! Put your filets on the grill over the most intense heat and close the lid. Keep them in place for the time mentioned above, according to your steaks’ thickness. When the time is up, open the grill lid and flip and turn the filets. Again, close the lid and cook for the recommended time to your desired doneness. Try to use filets that are at least two inches thick, which tend to do better on the grill. If food tends to stick to your grill racks, lightly oil the racks before preheating the grill and cooking your steak. Use an instant-read thermometer during the cooking process to monitor the internal temperature. You should stop cooking them when they reach about 125-degrees for a medium-rare cook. Allow your filets to rest for 5 to 10 minutes under a foil tent off the grill. This allows the juices to work their way back through the meat to make it more tender. If you plan to use a sauce or butter on your filets, you should do so as they rest. As you can see, grilling a filet isn’t complicated. The trickiest part is understanding how long to cook filet mignon on the grill to your desired doneness. Hopefully this article helped guide you in the right direction, but it still may take some trial-and-error to get your perfect cook. For more helpful cooking tips and delicious recipes, be sure to check out our Steak University recipe section! Next What is Rib Cap Steak and How Can You Cook It?